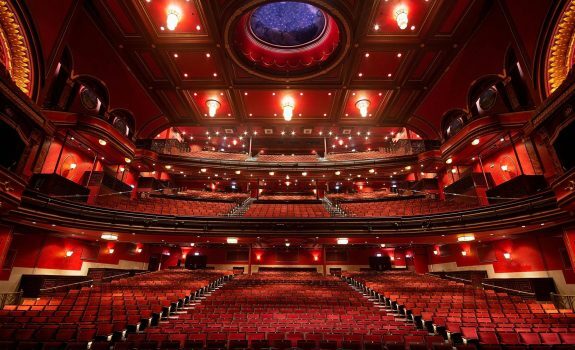 We were very lucky to have been invited to perform at the Gala Night celebrating the re-opening of the Mayflower Theatre after the theatre has been through a £7.5 million pound revamp. West End and Broadway star Earl Carpenter hosted the event which included performances from the Welsh National Opera, Birmingham Royal Ballet, Joe McElderry, Jacqueline Hughes (who has played Elphaba in Wicked), Bobby Davro, Mayflower Summer Youth Project, Barely Methodical Dance, Southampton Music Hub’s Big Sing and us! We joined forces with SingForce (a workplace choir business founded by our leader Dan) to take part in the show. What an opportunity and something I’m sure we will remember for a lifetime. A fun, exciting and once in a lifetime chance to be part of the Mayflower cast tonight. Thanks Love Soul for making my first performance so much fun. I feel so grateful to have felt part of the team.